The Most Surprising Sales Event Ever! 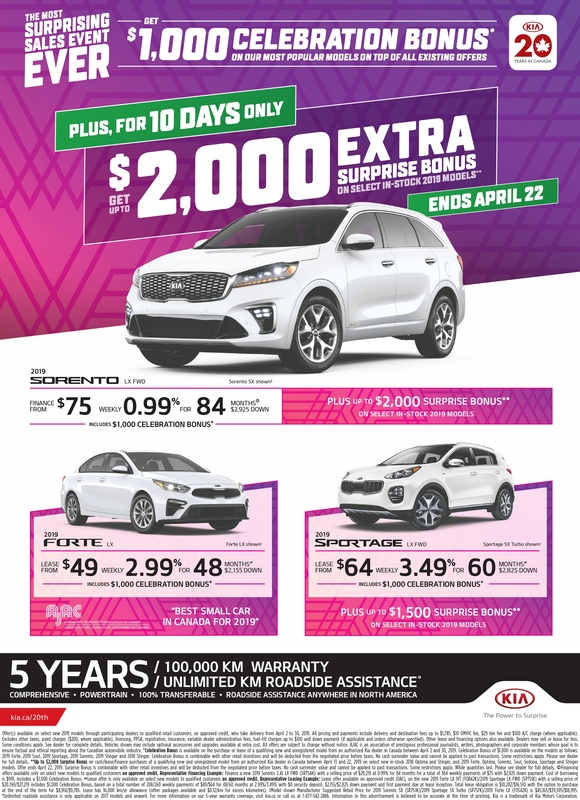 West Toronto Kia | The Most Surprising Sales Event Ever! You can get a $1,000 Celebration Bonus on our most popular models during our Most Surprising Sales Event Ever!